Although they may not always feel it, Australians are more prosperous than ever. As recently as 1990, the nation ranked 16th among OECD countries in terms of per capita GDP; just two decades later, in 2010, it stood in sixth place. 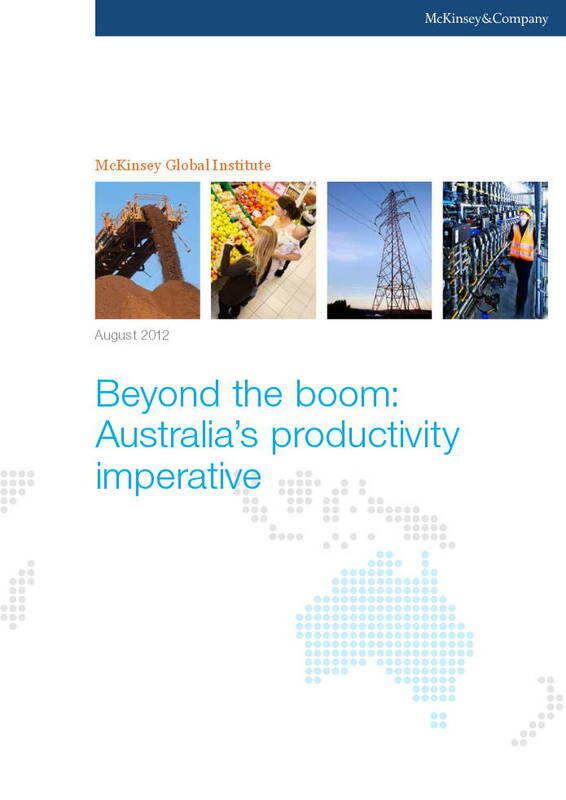 Australia overtook the United States in terms of income per head back in 2005. Capitalising on its geography and geology, Australia has been riding the wave of Asia’s rapid growth, providing many of the raw materials used to power new industry and build the vast infrastructure needed in China and other emerging markets. As commodity prices have spiked in recent years, Australia has attracted a flood of investment into its mines, processing plants, pipelines, and ports—in fact, there has been greater investment in resource projects over just the past five years than in the previous 20. 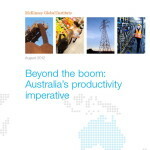 Posted in Asia Pacific, Economy, Federal, Local Industry, Policy, Primary Industry, Productivity and tagged Asia, Australia, capitalising, China, commodity price, emerging market, GDP per capita, Investment, McKinsey, opportunity, ORCD countries, processing plant, productivity problem, United States, vast infrastructure.